Studio X is the ultimate paperless solution - create, convert, edit, markup, sign, secure and easily share PDFs. 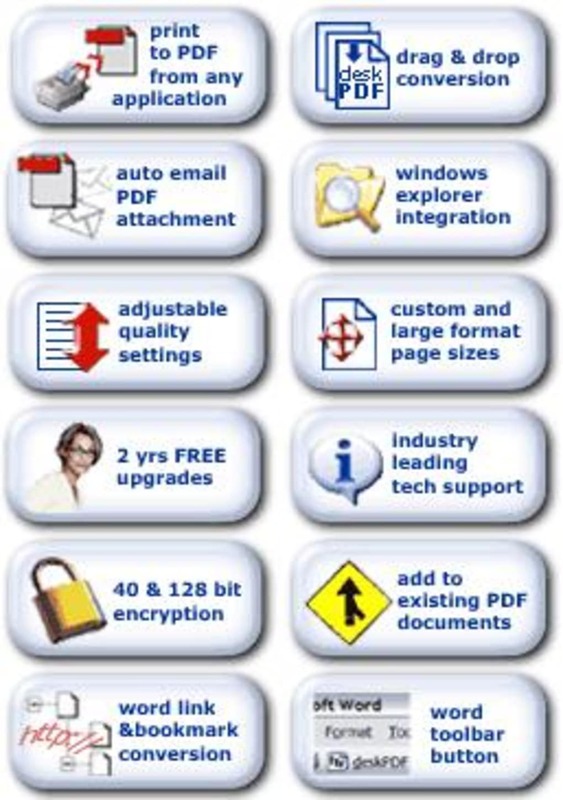 With deskPDF users can quickly create PDF documents from almost any application. In one step, users can create secure, portable PDF documents fully compatible with Adobe’s Acrobat Reader. Docudesk’s deskPDF family of products provide a simple yet elegant solution for creating PDF documents. In a single click, users can produce high quality PDF’s from almost any application. deskPDF provides all the features of more costly products and more, plus the industry’s best customer support, making deskPDF the best value on the market. Compare deskPDF and learn why we can not be beat! What do you think about DeskPDF? Do you recommend it? Why?